Travelocity is a website for anyone who wants to travel the world. It offers flights, hotels, car rentals, and many other services that are required for a great vacation. Scroll down to find coupons, discounts, and an easy-to-use form to start reserving your hotels, flights, and rental cars right away. Redeeming instructions: type the coupon code in the “Promo Code” or “Coupon Code” box at checkout. * Notice: follow the coupon instructions on the Travelocity website precisely. Deviating from the instructions will make the coupon rejected at checkout! These are Travelocity’s top vacation discounts. Choose the vacation you like and have everything settled for you right from the start. Ongoing Promotions – Always Available for You! 1) The greatest advantage you can have if you want to get low prices is flexibility. If you can change dates or hours, you can save hundreds on flights. 2) Make sure your trip is well planned. If you deviate from your plan, you may have to pay extra. 3) Watch for your car expenses. If you stay in a city with good public transport, you may not need a car. 4) Season is critical – prices go up during the summer and go back down towards the winter. 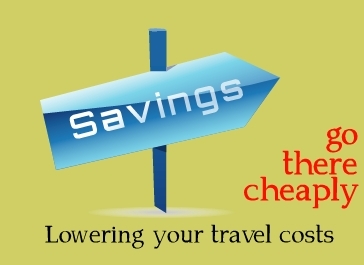 If you can make your trip from September to November, you will save hundreds of dollars. 5) Check Travelocity’s time sensitive discounts. You can find some great price cuts in there if you can be flexible enough. 6) Finally – discounts. Travelocity offers discounts and coupons you can use. Watch the video below to see how to cut the price of your trip by up to $100.